THE COURT OF APPEAL in Western Australia recently upheld a trial judge’s decision that a holding company was insolvent, and that the Directors, Mr and Mrs Perrine, were liable for insolvent trading. In this case there was a flexible payment arrangement between the holding company, Perrinepod, and its subsidiary company, Perrine Architecture. This flexible arrangement meant that payments on the running account were only made by Perrinepod to Perrine Architecture as and when Perrinepod had funds to make a payment. The Directors appealed on the grounds that the specific payment arrangement meant that the debts owed to Perrine Architecture had not fallen due and payable, and thus Perrine Architecture had not actually suffered a loss, and the trial judge erred in finding otherwise. The appeal was dismissed (see -). The evidence was that the debt was repayable when (notably not ‘if and when’) the company was in a position to pay it; hence the company was insolvent. See also Hussain v CSR Building Products  FCA 392, and our recent blog post on that case here. GOOD FAITH AND REASONABLENESS is an implied obligation built of two components. However, according to the Full Court of the Federal Court, these components are not entirely independent considerations, and to a large extent inform one another. In the well-known class action case, YUM! 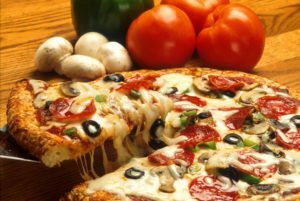 Restaurants, the franchisor of the Pizza Hut franchise in Australia, adopted a business strategy as part of which it exercised its discretionary power under its franchise agreement with each franchisee to set the maximum price for pizzas. The strategy reduced the number of ranges of pizza from four to two, and significantly reduced prices across the two remaining ranges. The move was opposed by a large number of franchisees, concerned that their financial survival would be made more difficult by lower prices – a concern that was ultimately justified as the strategy failed to reverse a trend of diminishing profits.